Simcock’s talent was singled out as special in his early twenties, most notably by Chick Corea: “Gwilym’s an original. A creative genius.” In 2006 he achieved a unique distinction when he became the first ever jazz musician to be invited to join the BBC’s prestigious New Generation Artists scheme. In more recent times, since May 2016 he has been travelling the world as a member of Pat Metheny’s Quartet. But that high-profile involvement is just a part of the current story. Simcock is also an in-demand composer, whose recent commissions include the London Symphony Orchestra’s percussion ensemble, Sinfonia Cymru in Cardiff and a third major commission from Hamburg’s NDR Big Band. The time while travelling the world with Metheny and his all-star quartet has been put to good use. Simcock explains: “In the last six months or so, whilst away from home, I spent my spare time writing new music for a second solo album. I actually wrote much more, but quite a few of the pieces expanded. ” In the new album, recorded at Simcock’s home in Berlin, the pianist is aiming for an “honest and personal sound,” for which he cites Keith Jarrett’s home-recorded album “The Melody At Night, With You” as a model. The instrument is a newly-acquired Steinway “B” from around 1900, completely custom-rebuilt for Simcock by the Klangmanufaktur partnership in Hamburg. And at the mid-point of the album, perhaps its emotional heart, is a short and beautiful ‘thank you’, which stands in contrast to the larger structures around it. 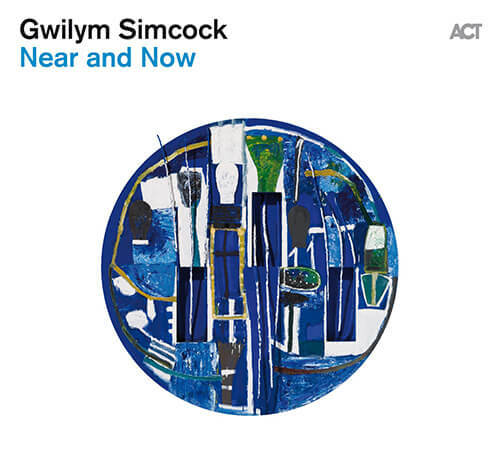 Simcock has dedicated the transparently poetic “You’re My You” to his first jazz piano teacher and mentor in Manchester from the ages of 14 to 18, Les Chisnall. “He has a very warm and giving approach to music, and that spirit is what I wanted to convey,” says Simcock. Warmth and generosity are what make a happy home, and this offering, direct from Simcock’s own house has plenty of both. Plus dazzling beauty, and above all enjoyment.